Our inks were used to dramatic effect on designer, Jay Watson’s contemporary table and bench designs. The ‘Linger a Little Longer’ range of furniture which is handmade from solid oak incorporates a black thermochromic finish. In response to heat the surface temporarily clears to reveal the timber beneath. A deceptively understated design with a dynamic twist. Making entertaining that bit more fun. 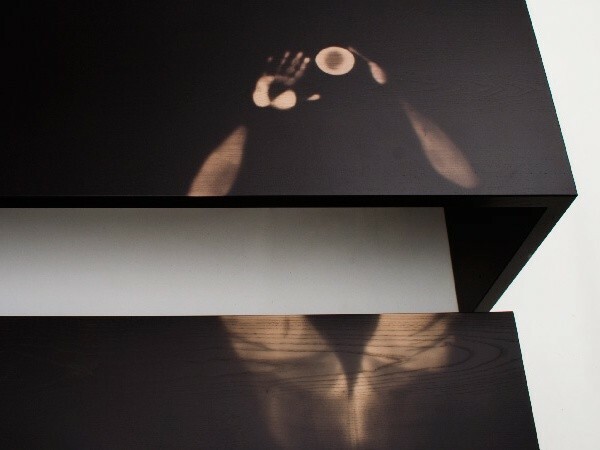 The thermochromic finish of the table and benches responds to the heat of any crockery (or body parts) placed on it to leave an ephemeral’watermark’.